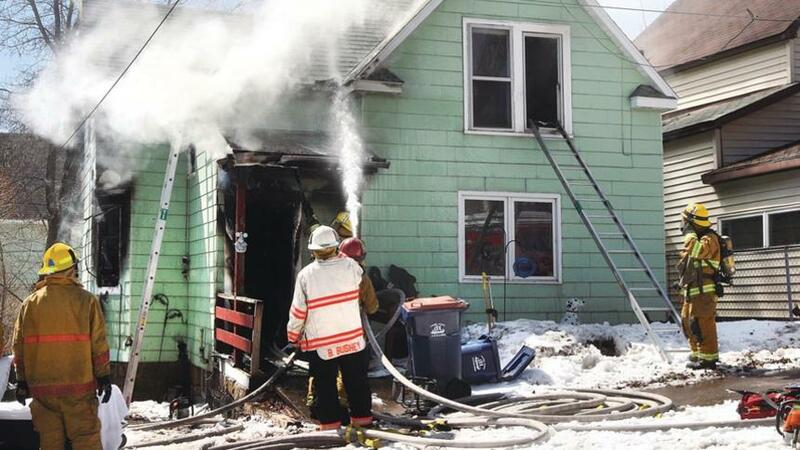 Duluth firefighters rescued two people from a burning home Friday afternoon in the city’s Lincoln Park neighborhood. The two people pulled from the home at 603 N. 23rd Avenue West just after 1 p.m. were transported to Essentia Health-St. Mary’s Medical Center; information on their conditions was not immediately available. the scene found fire coming from the front door and a window, and heavy smoke at the rear of the house. The initial crew entered the front door to start battling the flames. Additional crews arriving on scene found a male victim hanging out a rare first-floor window; crews used a ladder to rescue that victim from the window. He told firefighters there was a second person still in the home, on the second floor. Firefighters accessed the second floor from inside and outside the structure; a firefighter who climbed a ladder to reach a rear bedroom found the second victim in heavy smoke. The first victim was transported to the hospital by Duluth police; the second victim was transported by Gold Cross Ambulance. 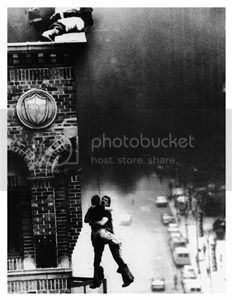 The fire department did not have any information on the identities or conditions of the two victims. Crews had the fire under control about 25 minutes after arriving on the scene. The home suffered heavy smoke and fire damage, estimated at $30,000 to the structure and its contents. More than 20 firefighters responded to the scene from stations in West Duluth, downtown and Lincoln Park. Firefighters remained on the scene for more than two hours. They planned to return to the scene for additional salvage and overhaul work once investigators completed their work at the scene.